Well the newest addition of Portrait magazine is out and I made the cover! Um, no I'm not Ashley Tisdale, but my name is on the cover, because they interviewed me and reviewed my books and stuff. . . Click HERE to read all about it! My husband and I just returned from a quick trip to Vegas. We LOVE Vegas. We were married in Vegas, and we make a point to go a couple times a year. When I tell people this, they usually assume we are big time go for broke gamblers, but the truth is, we rarely drop more than a quarter in the nearest slot machine. We go for the amazing restaurants, the Cirque du Soleil shows, the awesome pools, the shopping, the spas, the outlet stores on the way home, and the over the top glitz and glamour that makes a weekend there so much fun. Add to that the Ansel Adams exhibit at the Bellagio, and the Robert Mapplethorpe exhibit at the Venetian- there was just no time left to lose our shirts at the black jack table. Maybe next time! The Laguna Beach Library Rocks! Anyone who knows me knows how much I LOVE The Office. So much so, that I'm not ashamed to say that I arrange all of my Thursday nights around that 8:30 time slot. That's why last night's Friends of the Laguna Beach Library annual dinner gave me such a bad case of angst. The social began at 6:30, the dinner at 7:30, and even though it's a quick drive home, I was sure we wouldn't arrive until well past the end. And even though I'm not tech savvy enough to own a Tivo, I do have a semi-reliable VCR, not to mention a husband who's a wiz at setting the timer. Though there was that one time when it didn't work. . .and what if it happened again? So as we headed off to the dinner, I tried to let my excitement over meeting T. Jefferson Parker (I loved California Girl) twice in two weeks, override any anxiety I might have over missing my favorite TV show. And as it turns out, I'm so glad I went! Not only did I win five autographed hard covers in the silent auction, but I met some interesting people, learned all about raising a guide dog puppy via doggy-in-training, Azure, and his owners (I'm seriously thinking about signing up to do this! ), caught up with the wonderful writer, Kathleen Givens, but I also managed to convince T. Jefferson Parker that I was merely a fan and not a stalker. Then the moment we got home, I ran through the door, raced for the couch, and held my breath as I grabbed the remote and pushed play- then burst out laughing when I saw The Office was a rerun! Just got home from a wonderful (quick!) trip to Sonoma, and now it's time to get started on those copy edits for my next teen book, KISS & BLOG, which is scheduled for a May 2007 release! Thanks so much to all of you who played! 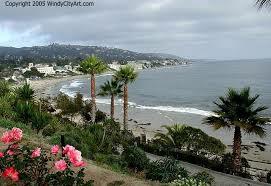 Win an autographed copy of LAGUNA COVE!! So it looks like Teen Read Week is coming to an end. . .but I still have one last book to give away! So if you'd like to win an autographed copy of Laguna Cove just visit my website, and e-mail me the name of the character who moved from Connecticut to Laguna Beach. One winner will be chosen at random. Deadline is Saturday, midnight, Laguna Beach time, and all the winners for all the contests this week will be announced on Wednesday! Thanks for playing and good luck! P.S. I just saw this movie and loved it! 1. Are You There God, it's me, Margaret- The Judy Blume classic that was passed around my sixth grade class until Mrs. Balou got hold of it. The next day she held it up and said that she'd "read it in ONE day" and it was "no big deal." Mrs. Balou was a bitter old woman. She was also dead wrong. It still IS a big deal. 2. Deenie- Read immediately after the Margaret book, Deenie taught me about scoliosis and first kisses, assuring me I could survive either one. 3. Catcher in the Rye- Yeah, we had to read it in AP English, but Holden Caulfield spoke to me. And I've read that, and every other JD Salinger book like a gazillion times since. 4. Love is One of the Choices- Whatever happened to Norma Klein, and why are her books out of print? 5. French Postcards- again, Norma Klein, funny, poignant, takes place in Paris. I read it again and again until I could get there on my own. 6. Forever- Yup, another Judy Blume classic, passed around and whispered about, I remember the plot to this day! 7. The Great Gatsby- Not necessarily young adult, but still a great coming of age story! 8. Sarah T Portrait of a Teenage Alcoholic- There was even an afterschool special starring Linda Blair! 9. Go Ask Alice- by anonymous. Still haunting to this day. 10. That was Then This is Now- by SE Hinton- Extraordinary, a masterpiece, so awesome. 11. The Outsiders- also SE Hinton. I mean, who can forget Ponyboy? 12. Wuthering Heights- Heathcliff, Cathy, that darn windwept estate. . .
13. Pride and Prejudice- I'm still crushing on Mr. Darcy! So that's my list. Now I'm curious which books make yours??? Win an autographed copy of FAKING 19!! Okay, once again in honor of this being Teen Read Week and all, and with Art Geeks and Prom Queens being nominated for the Teens Top Ten award. Today I am giving away an autographed copy of my debut novel, FAKING 19. All you have to do to win is visit- www.alysonnoel.com click on My Works, scroll down to FAKING 19, and then e-mail me with the name of Alex’s best friend! One winner will be chose at random- the deadline is Friday- midnight- Pacific Time! 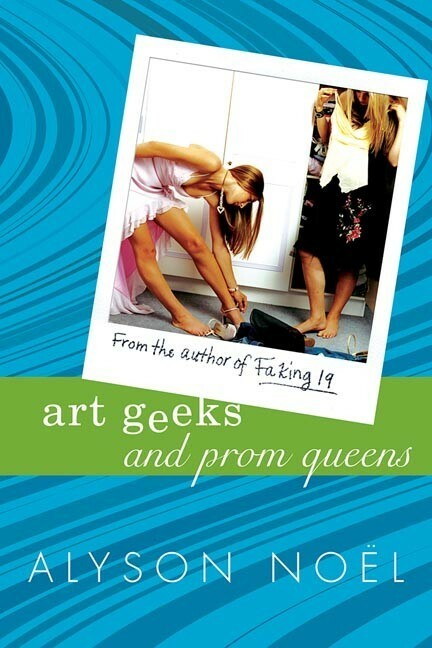 Win an autographed copy of Art Geeks and Prom Queens! In honor of Teen Read Week and the Teens Top Ten Award (which Art Geeks and Prom Queens just happens to be nominated for!!) I'm giving away an autographed copy of Art Geeks to one random person who can correctly identify the name of the Greek Island I lived on! The answer is somewhere on my website- so just visit www.alysonnoel.com and either click "email me" or write to me at alyson@alysonnoel.com with the answer! The winner will be chosen at random! Vote for Art Geeks and Prom Queens! Just a reminder that Teens Read Week begins Sunday, October 15 and ends Saturday, October 21. I'm happy to say that my teen novel, ART GEEKS AND PROM QUEENS, has been nominated for a TEENS TOP TEN award! Voting has already started, and you can click HERE to cast your vote! And be sure to stay tuned as I will be running contests in honor of Teens Read Week! My interview with the awesome site, Teens Read Too is now posted! There's a very cool teen internet magazine, PORTRAIT, that was kind of enough to review ART GEEKS AND PROM QUEENS and LAGUNA COVE- click on the titles to read! Back when I was a kid, the countdown to Christmas always started with the arrival of the Sears catalog, aka- "The Wish Book." This catalog was so coveted that to avoid any possible rioting, my mom had no choice but to lay down the ground rules- which mostly amounted to a bunch of "seniority rules" gibberish that placed the book squarely in my oldest sister's hands, and then my middle sister's hands, until it eventually trickled its way down to me. There were advantages to being last. Like being able to peek at my sister's choices, so I could make sure not to waste my own precious picks on a duplicate item. Though being born five years apart, pretty much guaranteed that I was the only one jonesing for both the Barbie Country Camper and the Racer Green Corvette for midlife crises Ken. But now that I'm older (notice I didn't say "grown up") the early holiday rush always starts with the arrival of the Neiman Marcus "Christmas Book." And my husband's steadfast refusal to even acknowledge its existence, means I get the book all to myself. And just like the Wishbook before it, this catalog is also overwhelming. Filled with all manner of luxuries I can hardly believe I've been doing without. So in my need to reign it all in and bring it down to a more manageable level, I relegate myself to just two items to fixate on- one that I can both use and afford (trickier than it sounds), and one that I couldn't possibly use, can in no way afford, but now that I know of its existence, desperately need. 1. The Swarovski Crystal Encrusted Pen found on page 79. This sparkly little gem is the perfect accompaniment for those Border's and Barnes and Noble book store signings. And at $60 is only about $58.01 more than my usual four pack of Bics. Not to mention how it's practically guaranteed to do wonders for my image, boost me onto the NYT bestseller list, and make me seem uber glamorous. 2. 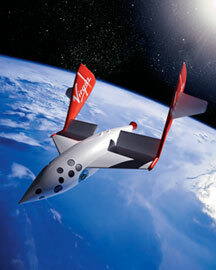 The Virgin Galactic Charter to Space found on page 87. Anyone who's read FAKING 19, knows all about my mad Richard Branson crush. And even though I was lucky enough to actually meet him, and even hug him (that sweater is now securely tucked away with a couple cedar chips in an undisclosed safety deposit box), this opportunity far surpasses that Virgin Record Store Grand Opening chance encounter. This is an chance to undergo three days of medical testing and astronaut training, to launch into space where one can experience weightlessness (that alone is worth the price of admission! ), tool around way up high in the sky for awhile, before landing safely and being whisked off to Branson's very own PRIVATE VIRGIN ISLAND where I and a guest of my choosing will enjoy four nights of luxury accomodations along with an exclusive celebration hosted by Sir Richard Branson himself, where he will present all of us astronauts with a set of Virgin Galactic astronaut wings! (Which probably won't be made of plastic like my OTHER airline wings). I realize that at first glance the price tag of $1,764,000.00 may seem a bit daunting. But since there will be six of us astronauts, and six of our guests, I think if we divide it up evenly we should be able to make this work! Besides how often does an opportunity like this come around? Only once a year that I know of. Click HERE to read the story behind the story on all of my books! Recently I finished untitled book #6. Not the kind of "finished" where I've sent it to my editor and am anxiously awaiting her reply, but more the kind where I've passed it off to my husband and agent (my favorite first readers) so that I can temporarily wash my hands of it and do a mental cleanse before I start thinking about what's next (which I guess would be untitled book #7). And since I tend to be so obsessive when I'm writing- ignoring the phone, emails, and the world at large-reaching the point when I actually get to type "The End" feels just like the last day of school, with its promise of long leisurely days with no work to do. So yesterday, I took the day off. And what began as a simple trip to the bank, soon turned into a full fledged field trip. Starting with my husband's comment about what a nice day it was, which immediately sequed into, "We should go to the San Juan Capistrano Mission." The last time I went to the mission was for a real field trip back in the fourth grade, the kind that required permission slips, a packed lunch, and my mom solemnly swearing to be a cool chaperone, and not act all mom-like in front of my friends. And as my husband and I strolled around Orange County's most famous ancient ruins, I remembered my ten year old self, and how thrilled I'd been to trade the rigors of the classroom for a day of goofing around with my friends. Which also made me realize just how little has changed since then. And after we'd been fully reacquainted with Father Serra and all his good deeds, my husband and I caught the last matinee of "Little Miss Sunshine," which is quirky, and awesome, and a definite must see. But even though the sun was shining just as bright today, I didn't even think about playing hooky. Summer is over, and untitled #7 waits.